As one of the most popular window treatments, it’s no wonder there are tons of curtain and drapery styles available. But which one is right for you? At Custom Blinds & Designs, we have tons of options for custom drapery and curtains and can help you find something that will look amazing in your home! Custom curtains are great because they can be made into any style you want. Whether you want a casual option that simply frames your windows or something more elegant with fabric pooling on the floor, we can help you create the perfect thing for your home. We even offer valances and top treatments for a more minimalistic style. Light control is one of the biggest benefits you can get from custom drapery. For light-filtering capabilities, consider a sheer fabric that will gently diffuse light and provide better illumination. 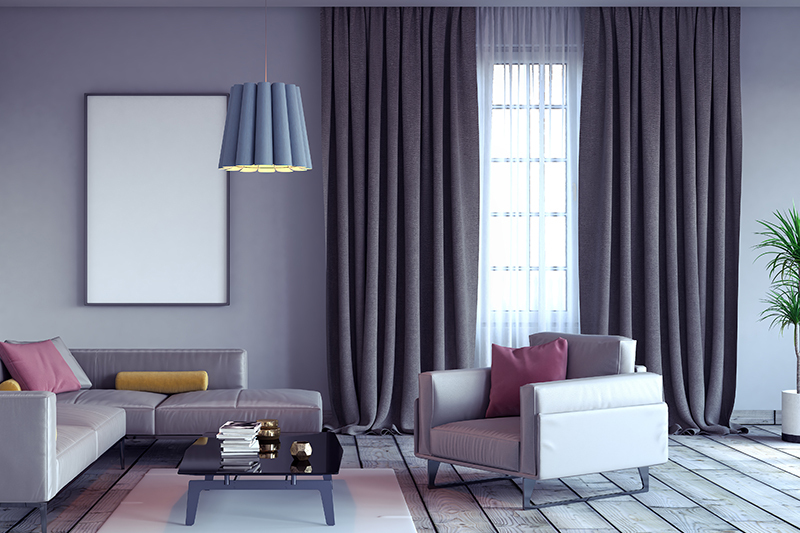 If you need window treatments for a bedroom, consider something opaque with room-darkening abilities. You can also layer a sheer and opaque drapery for more versatile light control. Curtains and drapery can also help you better insulate your windows. Thick, heavy fabrics create a barrier against your windows that will keep air from escaping through your windows. This will keep your home’s internal temperature constant and keep your heating and cooling units from having to work as hard, saving you money. Finally, you can get excellent levels of privacy from custom curtains and drapery. Opaque fabrics will provide more privacy for your home, but sheer fabrics can also obscure the view into your home without obstructing your view to the outdoors. If you’re looking for custom curtains and drapery for your home, contact the experts at Custom Blinds & Designs today! We have showrooms in both Omaha and Lincoln, Nebraska and proudly serve the Omaha, NE metro area. In addition to our curtains and drapery, we also offer the full line of Hunter Douglas window treatments. Call us today to find new window treatments for your home!